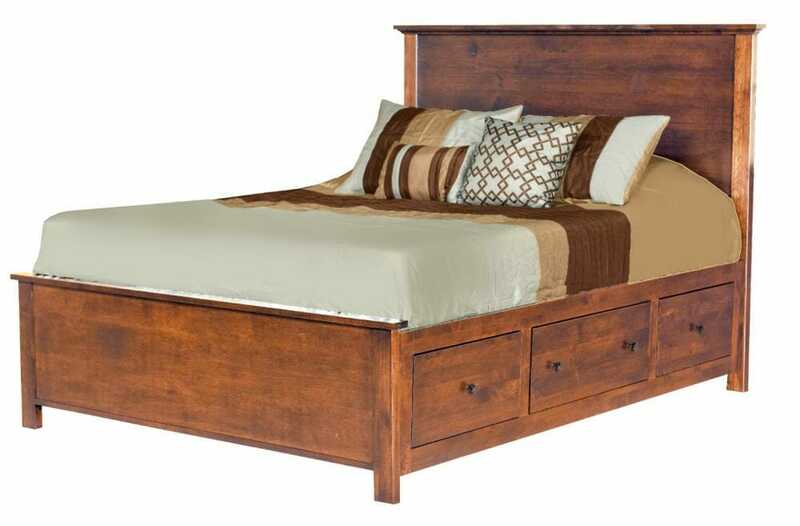 The sturdy design of this Queen size storage bed will add a timeless quality to any bedroom. 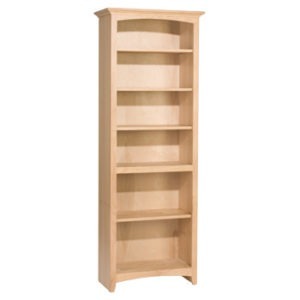 From the Alder Heritage collection, this unit is made of high quality American Alder wood which ensures it a lifetime of durability and usage. 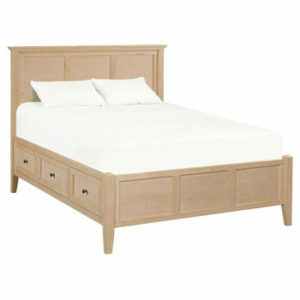 It features a flat panel detail on the headboard and foot board. The molding on the top of the headboard is the same as the rest of the Heritage collection. 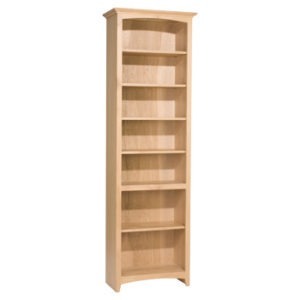 The roomy drawers feature English dovetails and are great for storing clothes, sheets, and much more. They sit on full-extension ball bearing glides. 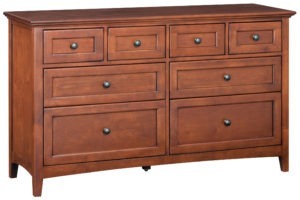 The Heritage collection from Archbold Furniture features solid wood drawer boxes. 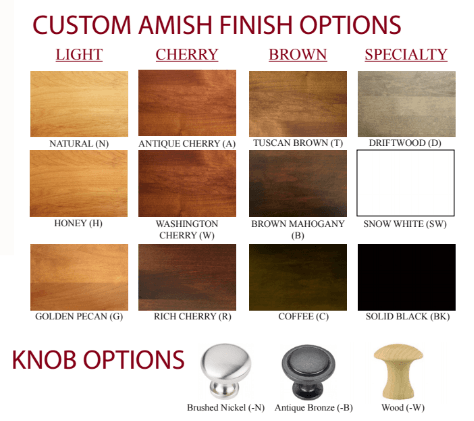 This piece ships disassembled and is available unfinished (stocked with brushed nickel knobs) or finished (your pick of wood, brushed nickel, or antique bronze knobs) in your choice of stain.